Open Enrollment is open now through 11:59 p.m. Oct. 31. All benefits-eligible faculty and staff are required to make an active plan selection for 2019 coverage. Unlike some other years, employees will not automatically default into their current plan option if no action is taken. Vanderbilt University will offer fully benefits-eligible employees two health care plan options in 2019: the Select PPO plan and a new, consumer-driven health plan called the Choice CDHP. Making an active health care election and completing the questions about tobacco use and spousal coverage can save employees money. Those who don’t complete these questions may pay up to $120 per month in avoidable costs in 2019 (see chart below). Employees also can receive credits for completing the Go for the Gold steps. Those who don’t actively enroll will miss out on the opportunity to contribute pre-tax money to 2019 health care and/or dependent care flexible spending accounts. Open Enrollment is the annual opportunity for employees to update or choose the benefits that best meet their and their family’s needs. Elections are effective Jan. 1–Dec. 31, 2019. After the plan year starts on Jan. 1, 2019, employees can only make coverage changes if they have a qualifying life event, such as getting married or having a baby. What happens if fully benefits-eligible employees don’t enroll?  You’ll pay a $100/month spousal fee if your spouse is on the Vanderbilt Health Plan but has access to health insurance through their own employer. If your spouse does not have access to another employer’s health plan, or works for Vanderbilt University, you must confirm this every year to avoid the fee. Dental Plan You’ll have the same coverage you elected from 2018. Vision Plan You’ll have the same coverage you elected from 2018. 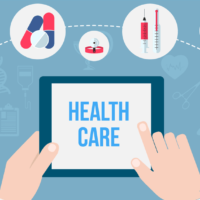 Flexible Spending Accounts No pre-tax money can be deposited in your health care and/or dependent care flexible spending accounts unless you enroll each year. What are the options for partially benefits-eligible employees? Partially benefits-eligible employees may enroll in the Choice CDHP or choose to waive coverage. 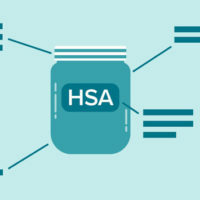 Those who elect the CDHP may contribute to the accompanying HSA; there is no employer contribution. 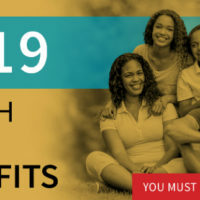 Those currently enrolled who do not confirm 2019 elections or waive coverage will miss out on a $20 per month credit toward premiums when all covered family members are committed to being tobacco-free. Enrolling is quick and easy. 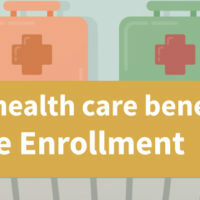 Visit vu.edu/oe to view the detailed guide to Open Enrollment, benefits videos, updated health care premiums, information on the new Choice CDHP, FAQs, PLANselect (Vanderbilt’s new decision support tool) and more. Employees can enroll online at any time from any internet-connected computer. Those who need help enrolling or don’t have access to a computer can visit an enrollment lab or stop by Vanderbilt Human Resources on the 10th floor of the Baker Building (110 21st Ave. S.) between 8 a.m. and 5 p.m. Monday-Friday through Oct. 31. Employees need an active VUnetID and password to enroll. If you need help with your VUnetID or your password, visit it.vanderbilt.edu/accessvu or contact your IT support provider or the Help Desk.